Dollar Tree Haul! See What I Got for a Dollar! Do you love the Dollar Tree? I do, especially when I’m buying things that in reality should only cost a dollar but are much more somewhere else. Here is my Dollar Tree Haul and a few of my favorite items. Microfiber Dishcloths- I always need dishcloths and I like these because they are durable, light, and hold the suds well. Blue Containers- I’m going to use these for either my pantry or under the sink for storage. Storage Bowls- I love these! They are perfect for storing fruit, veggies and leftovers. They are also a perfect size for a pre-made salad for lunch. The Decorative Box- I’m going to use this to store my scriptures and ideas for some projects I’m working on. I thought it was pretty and just the right size. Do you have favorites at t the Dollar Store? Did your kids outgrow their summer clothes like mine did? Well, you may want to check out the Memorial Day Sale at Osh Kosh B’gosh on Monday and stock up for the upcoming months. There are some serious sales happening like $5 on t-shirts, $12 on shoes, $10 dresses, $12 swimwear and an extra 25% off clearance along with everything else being 50-60% off! Sounds like a deal you may not want to miss. Zulily Has Toms on Sale! Check it Out! Sales Ends February 22nd! If you like Toms Zulily has them right now on sale! The cool thing about Toms is every pair of shoes that are purchased a pair is given to a child in need. What a great way to spend your hard earned dollars! Check out the sale it ends this weekend. Also, spring showers are coming or if your kids are slushing through the melted snow they may need a pair of rainboots, Zulily has quite the deal! I love thrift stores. There is a great thrift store by my house that I often frequent. I actually bought much of what I needed for Anya’s tea party there. My latest finds was that cute green mail holder and the little brown cup. All for $2.75! I’m going to put flowers in the cup and I’m still deciding on how I’m going to use the mail holder. Michaels it a great place to find thrifty crafts! Here are a few items I found yesterday all for$1.00. Pic#1 Cute pencil or pen carrier. Pic #2 Crafty items to paint for Anya. Pic #3 Red and green candle holders to match my dinning room. Mothers Day is right around the corner! I don’t know about you, but I’ve definitely developed a new appreciation for my mom after becoming a mom! Wow thanks mom, I had no idea of all you did! If you’re looking for a perfect gift check out Heavenly Blessings . 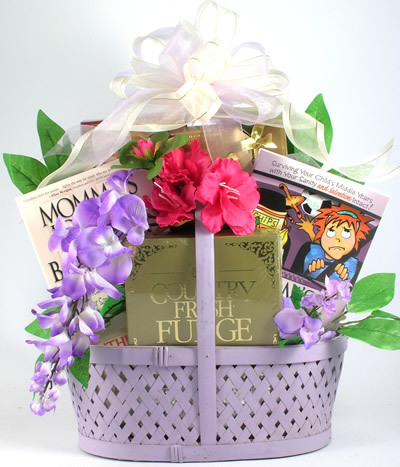 My friend Danita creates these wonderful baskets for all occasions that aren’t only pretty, but have a Christian theme to them. 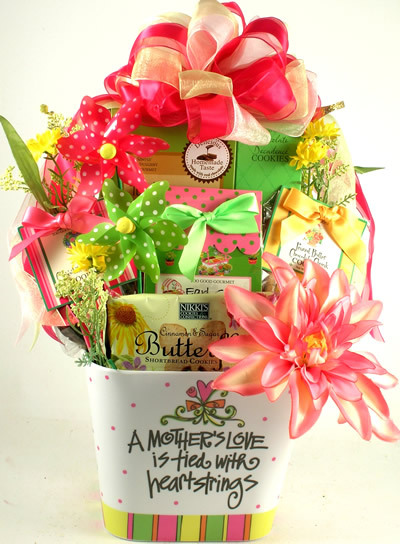 I urge you to check out her website and bless your mom, friend, sister or aunt with one of these lovely baskets. Here are a few of my favorites on her website. Aren’t they fantastic? This is my friend Annette’s site. She is a designer and is fabulous! If you are looking for a gift for a friend, an expectant mom, or a baby go here!! You’ll fall in love with her creative patterns and genius!